​Farmington has a population of 684, and is the oldest village in Van Buren County, settled in 1833 and platted in 1839. 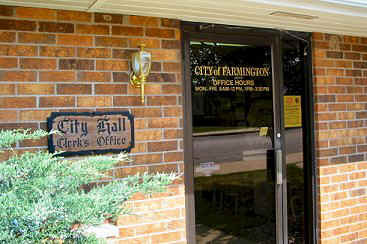 Farmington's governing body consists of a Mayor/Five-member Council system. The Mayor's and Council members each have a term is four years. At one time, Farmington was a major milling, manufacturing, and trading center, and was the first county seat. Located within the Iowa Historic Hills Corridor, along the Mormon Trail, and along the Iowa State Woodland Scenic Byway, Farmington is rich with a diverse landscape, history, rural culture, and recreational opportunities. Click here to view info about the Van Buren County Emergency Management System.